Stats last updated: Saturday, December 16, 2017 at 11:00 a.m.
Start date: December 7, 2017, 11:15 a.m.
Safety Message: CAL FIRE is reminding residents entering the area to be aware that hazardous conditions may exist, particularly if a residence or building has burned. If there are electrical wires on the ground or other utility damage, contact SDG&E. Please drive slowly and yield to emergency personnel and utility companies in the area. 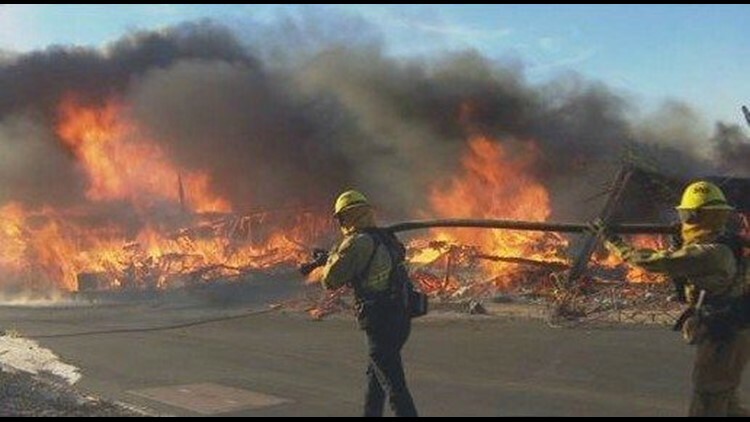 SAN DIEGO (CNS) - After 10 days of destruction, the Lilac Fire was 100 percent contained Saturday, fire officials announced. "A big thank you to our local, state and federal cooperators," Cal Fire San Diego tweeted around 6 a.m. "We couldn't do it without our great partnerships and teamwork." In total, 1,659 firefighters and other personnel helped battle the blaze. The Lilac Fire destroyed 157 structures -- many of them dwellings in the Rancho Monserate Country Club mobile home park in Fallbrook -- and damaged 64 more. No human deaths were reported, but at least 46 horses died, many of them stabled at the San Luis Rey Downs Training Center in Bonsall. 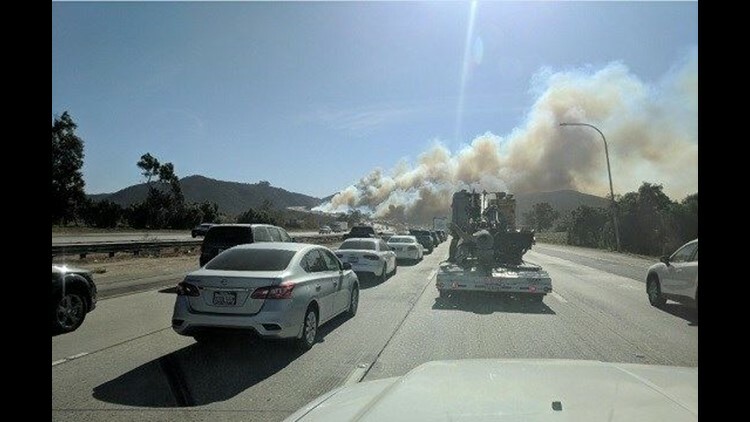 The Santa Ana winds that fueled the massive blaze returned earlier this week, though weaker than they had been before. The fire-prone weather was set to return to San Diego County on Sunday, but the National Weather Service canceled a fire weather watch for the area, saying relative humidity and predicted wind speeds were not expected to reach critical levels. Riverside, San Bernardino and Orange counties will remain under a red flag warning from 8 a.m. to 8 p.m. Sunday. Locally, fire agencies are bracing for any new fires, while in Ventura and Santa Barbara counties, fire crews are continuing to battle the Thomas Fire. That blaze, which broke out 12 days ago and is still only 40 percent contained, has now grown to the third-largest in California's history at more than 259,000 acres burned. Full containment is not expected until early January. The 2003 Cedar Fire in San Diego County still holds the record as the state's largest wildfire at 273,246 acres, while the 2007 Witch Fire and 1970 Laguna Fire, both in San Diego County, are also among the 10 largest in California history.